The Harlingen High School South Junior Classical League hosted the 2nd Annual Ludi Olympika and Classical World Contest, Saturday, Feb. 17. Over 250 students representing 11 HCISD campuses participated. Each school was assigned a Greek City State, in the spirit of the original Olympic Games which started in 776 BC in Olympia, Greece. Each team also carried a banner with the flag of the Greek City-State they represented during the Welcoming Ceremony Parade. Students competed in the Olympika Category which consisted of several events like basketball, volleyball, and dodgeball, as well as the Ludi Category which included chess. Students also competed in art and many academic tests related to the Classical World (Greece and Rome) under the Classical Civilization World Category. The winners received individual medals and trophies for each of their events and earned points for their school’s team. Scores were added up for each division to determine the Division Sweepstakes winners. 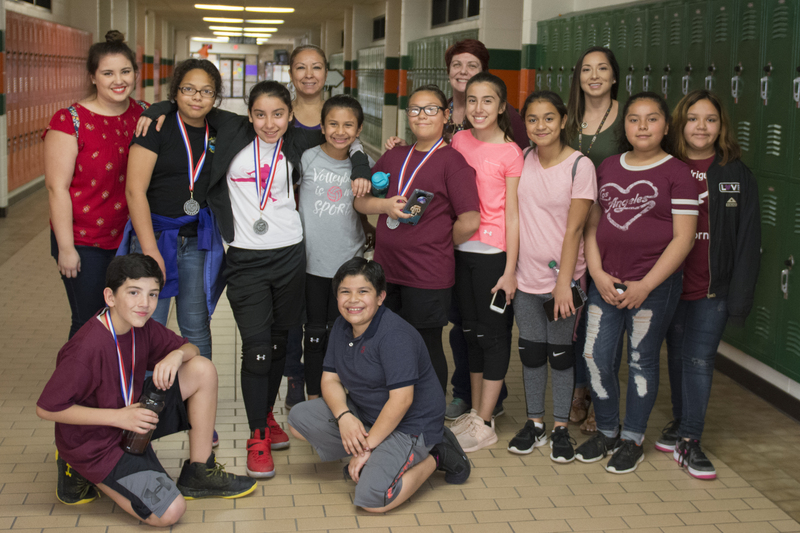 The event saw elementary competitors from Milam Elementary, Houston Elementary, Rodriguez Elementary, Treasure Hills Elementary, Stuart Place Elementary, and Wilson Elementary. Stuart Place Elementary took the Sweepstakes Award. Competing at the middle school level were Coakley Middle School and Vela Middle School with Coakley taking the Sweepstakes Award. Early College High School and Harlingen High School South competed in the high school division with Harlingen High School South taking the Sweepstakes Award. The event also featured a talent show that awarded medals to the winners in each category. The top 1st, 2nd, and 3rd Overall Winners of the talent show received gift cards for $75, $50, and $30 respectively. Overall Winners of the talent show portion were: 1st Place Emilio Padron (Stuart Place), 2nd Place Vocal Ensemble Group (ECHS) and 3rd Place was a tie between Kadee Velasquez (Vela) and Chris Sanchez (Stuart Place).